Carry your keys on your other key. Real working key blank. 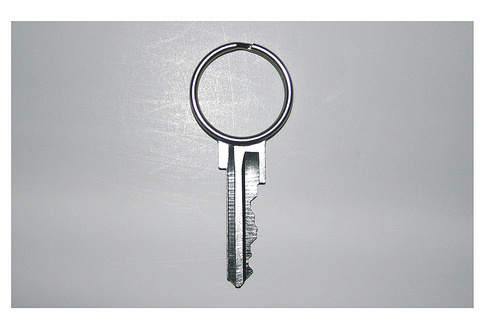 Key blank can be cut by any key cutter to fit KW1 or SC1 keyways. One of those “why hasn’t someone thought of this before?” objects. The greatest ideas are always the simplest. Split Keyring Blank by Scott Amron.